WHAT IS MEDICARE ADVANTAGE AND HOW IS IT DIFFERENT FROM TRADITIONAL MEDICARE? Medicare beneficiaries have the option of receiving medical coverage either through the traditional fee-for-service program or by joining private Medicare Advantage plans, which generally offer better benefits and lower costs for enrollees. WHAT KINDS OF HEALTH PLANS PARTICIPATE IN MEDICARE ADVANTAGE? Medicare Advantage offers a wide array of plans, including health maintenance organizations (HMOs), preferred provider organizations (PPOs), Medicare medical savings accounts (MSAs), and private fee-for-service (PFFS) plans. In addition, private special needs plans (SNPs) provide comprehensive coordinated care for beneficiaries with severe and chronic illnesses. HMOs generally offer lower copayments and deductibles for services that seniors receive through a network of physicians, hospitals, and other health care providers. PPOs have broad provider networks and also allow members to use out-of-network providers if they pay more of the cost of care. That’s the same kind of coverage that most people under 65 receive through their employers. Beneficiaries have access to these types of plans in all areas of the country. HOW MUCH CAN BENEFICIARIES SAVE BY ENROLLING IN A MEDICARE ADVANTAGE PLAN? Because Medicare Advantage plans offer more comprehensive benefits, most MA enrollees pay less for full medical coverage than they would under traditional Medicare supplemented with individual Medigap coverage. Take, for example, a senior with a modest income who has no supplementary retiree coverage and who does not qualify for subsidies to help with her Medicare premiums, deductibles, or copayments. If she were to opt for traditional Medicare coverage, she would pay $93.50 a month this year for her Medicare Part B premium; she would pay a separate premium to obtain Part D prescription drug coverage. She likely would pay an additional premium for Medigap coverage if she also chose to protect herself against other medical costs that Medicare doesn’t cover. But if this same senior were to choose a Medicare Advantage plan, she would still pay $93.50 for her Part B premium, and in addition to Medicare-covered services, she could receive prescription drug coverage and dental, vision, and preventive care services for little or no additional premium.10 The 2007 Report to Congress of the Medicare Payment Advisory Commission (MedPAC) finds that 99 percent of Medicare beneficiaries have access to Medicare Advantage plans with zero added premiums, and 86 percent have access to MA plans that also cover prescription drugs at zero premium.11 It is not surprising that seniors with limited means and with no supplementary coverage find Medicare Advantage plans to be particularly attractive. HOW ARE THE GOVERNMENT’S PAYMENTS TO MA PLANS DETERMINED? Medicare pays MA plans a capitated monthly payment to provide all Part A and B services, plus Part D if drug coverage is offered by the plan.12 That payment is based on bids submitted by the plans, and it is risk-adjusted so that higher payments are made for enrollees who are sicker and are therefore likely to use more services during the year. The plan bids for Part A and B services are compared to a complicated formula to determine county and regional benchmarks. If the plan bid is less than the benchmark, 25 percent of the difference is retained by the Medicare program. The remainder is returned to enrollees as lower premiums and/or better benefits.13 If the plan’s bid is higher than the benchmark, the full additional cost is added to the premium paid by enrollees. MedPAC’s analysis suggests that the benchmarks are generally greater than the cost of providing Medicare services through traditional Medicare.14 If the MA plan bid is higher than the cost in traditional Medicare but below the benchmark, the plan receives the difference between the bid and the traditional program’s cost as an extra payment, without any additional requirement to charge lower premiums and/or provide better benefits for the amount of that difference. WHY ARE MEDICARE ADVANTAGE PAYMENTS AN ISSUE? Several studies have concluded that Medicare Advantage plans are overpaid in relation to fee-for-service Medicare. Some congressional leaders have said that they want to reduce payments to private MA plans and spend the money on other things, such as increasing payments to physicians under fee-for-service Medicare, or expanding the State Children’s Health Insurance Program. But revising payment schedules to MA plans across the board would harm lower-income seniors who are attracted to the more generous and more affordable benefits that MA plans offer, and those in rural and underserved areas who could lose the option of signing up for more comprehensive coverage. SO IS THE EXTRA MONEY BEING SPENT ON MA PLANS BEING WASTED AND SHOULD THEREFORE BE CUT? Cutting payments to Medicare Advantage plans would reduce benefits and raise costs to their beneficiaries. For example, two-thirds of Medicare Advantage HMOs do not charge beneficiaries extra to receive the new prescription drug benefit.17 If MA were not an option for them, seniors would have to pay more for coverage of their medicines. Medicare Advantage gives more than $1,000 a year in added health services to the average beneficiary enrolled in the plans, or an average of $86 a month over standard Medicare coverage.18 Savings for the chronically ill are even larger. ARE MA PLANS AVAILABLE ONLY TO MEDICARE BENEFICIARIES IN URBAN AREAS? The MMA established the Medicare Advantage regional stabilization fund to ensure that beneficiaries in all states and in both rural and urban areas have access to private health plans. The stabilization fund is designed to provide beneficiaries choices of plans in areas where it was expected to be most difficult for private health plans to participate in MA due to, for example, the expense of developing provider networks. Additional funding would be granted for a limited time to MA plans in underserved regions to ensure that beneficiaries have at least two regional plan choices. SOME PEOPLE SAY THAT TRADITIONAL MEDICARE FULLY MEETS BENEFICIARY NEEDS, SO MA PLANS ARE NOT NEEDED. If traditional Medicare fully met beneficiary needs, millions of seniors would not purchase supplemental Medigap coverage. But while Medigap plans are popular with middle-income seniors who seek protection against the gaps in Medicare fee-for-service coverage, poorer seniors may find the premiums too costly. MA plans are particularly attractive to those who do not have other sources of supplemental coverage and are more sensitive to price.21 As a result, seniors with the most limited resources have been most attracted to the broader coverage and more predictable costs of MA plans. ARE PAYMENTS TO MEDICARE ADVANTAGE PLANS EXCESSIVE? Extra payments to MA plans produce extra benefits that are not available through traditional Medicare. These extra benefits are the result of congressional policy that sought to expand the availability of MA plans and plan types and to ensure that 75 percent of the savings from competitive bidding would be directed to enhanced benefits or lower premiums for beneficiaries. Describing these benefits as “excessive payments to plans” fails to account for the fact that both taxpayers and beneficiaries gain when MA plans bid below the benchmark. In those cases, 25 percent of the Medicare payments which are above the plan bids for the cost of delivering Part A and B services go back to the Treasury and the remainder is returned to beneficiaries in the form of these extra benefits. Thus the higher benchmark payments have provided a mechanism to convey extra benefits to enrollees. In addition, the payments foster private plan participation in Medicare, which in turn allows seniors to benefit from competition among the private plans vying to offer better benefits at better prices. WOULDN’T IT BE BETTER TO SIMPLY ADD TO TRADITIONAL MEDICARE THE EXTRA BENEFITS THAT MEDICARE ADVANTAGE PLANS OFFER? Traditional Medicare pays for acute care after patients are ill and for some preventive services. Medicare Advantage plans offer added services for prevention and early detection of disease, and they are better able to provide coordinated medical care. This is the 21st century approach to medical care that the commercial market is finding offers better care at lower long-term costs. One of the most critical issues in the future is how the Medicare program will address the growing numbers of beneficiaries with chronic conditions. In the traditional Medicare program, this responsibility either has to be taken on by one of the beneficiaries’ many providers, or by a separate entity that would need to coordinate with the variety of providers and with the beneficiary. Medicare cannot duplicate this role of MA plans by simply adding more services such as preventive care, more comprehensive drug coverage, and dental and vision care to the Medicare payment schedule. A strong MA program provides the best opportunity for creating a program to meet the growing need for coordinated care. In 2003, Congress decided to boost funding for Medicare Advantage plans to attract private health plans that could introduce competition into Medicare. Cuts in those payments would disadvantage millions of beneficiaries who find that Medicare Advantage meets their needs better than traditional coverage. Enrollment in all private Medicare health plans has now reached an all-time high of 8.3 million beneficiaries, up from 5.3 million in 200331 and the percentage of beneficiaries who have chosen Medicare Advantage has grown from 12.1 percent of all Medicare beneficiaries in 2004 to 19 percent this year.32 The added funds also increase the options available for seniors living in rural areas. As we have seen with Medicare Part D, competition among private plans leads to more choices and greater value for seniors. Competing Medicare Advantage plans are offering more choices of plans, more generous benefits, and lower cost-sharing for beneficiaries than Medicare fee-for-service.33 Seniors who especially value this option are those with modest incomes who do not have supplementary coverage. We can enhance competition in Medicare Advantage if we follow the lead of Part D. Part D plans bid against each other rather than against an inflated benchmark, which puts greater market pressure on all the plans to improve efficiency and keep costs down. A similar system in which Medicare Advantage plans and traditional Medicare bid against each other would yield sharper bids and stronger incentives for efficiency.34 Simply cutting MA payments will not solve the underlying problem that leads to plan overpayment. We want much more competition in Medicare, including private plans competing with traditional Medicare. And we need it sooner, not later. The vibrant private plan sector that Medicare Advantage has created is an essential step toward that goal and lays out an initial pathway to the future which should include premium support for Medicare beneficiaries. Even more competition will promote greater efficiency, which over time can slow the growth of Medicare spending and improve the value that seniors and taxpayers receive from the program. This fact sheet was jointly prepared by health policy experts from the American Enterprise Institute, the Center for Medicine in the Public Interest, the Galen Institute, The Heritage Foundation, the Institute for Policy Innovation, the Institute for Research on the Economics of Taxation, the National Center for Policy Analysis, the Pacific Research Institute, and Project Hope. 1 News release, “Medicare Drug Plans Strong and Growing,” Centers for Medicare and Medicaid Services, January 30, 2007, at www.cms.hhs.gov/apps/media/press/release.asp?Counter=2079. 2 Medicare Payment Advisory Commission, Report to the Congress: Medicare Payment Policy, March 2007, p. 240, at www.medpac.gov. 4 U.S. Department of Health and Human Services, “FY 2008 Budget in Brief,” p. 52, at www.dhhs.gov/budget/08budget/2008BudgetInBrief.pdf. 5 Jane Zhang and Vanessa Fuhrmans, “Seniors Flock to Private Medicare Plans,” The Wall Street Journal, August 29, 2006. 6 Centers for Medicare and Medicaid Services, “Fact Sheet on 2007 Medicare Medical Savings Account Plans,” September 29, 2006, at www.cms.hhs.gov. 8 Centers for Medicare and Medicaid Services, “Special Needs Plans: Fact Sheet and Data Summary,” at www.cms.hhs.gov. 9 Marsha Gold, Maria Cupples, and Sarah Davis, “2006 Medicare Advantage Benefits and Premiums,” AARP Public Policy Institute, November 2006, at www.aarp.org/research/medicare/advantage/2006_23_medicare.html. 10 Centers for Medicare and Medicaid Services, “Find and Compare Plans,” at www.medicare.gov/MPPF/home.asp (February 20, 2007). 11 Medicare Payment Advisory Commission, Report to the Congress: Medicare Payment Policy. 12 U.S. Department of Health and Human Services, “FY 2008 Budget in Brief,” p. 51. 13 Medicare Payment Advisory Commission, “Medicare Advantage Benchmarks and Payments Compared with Average Medicare Fee-for-Service Spending,” June 9, 2006 at www.medpac.gov. 14 Medicare Payment Advisory Commission, Report to the Congress: Medicare Payment Policy, Table 4-1. 15 John Reichard, “Stark Sees Little Alternative to Cutting Medicare Advantage Payments,” CQ HealthBeat, January 23, 2007, at public.cq.com. 16 Brian Biles et al., “The Cost of Privatization: Extra Payments to Medicare Advantage Plans-Updated and Revised,” The Commonwealth Fund, November 2006, at www.cmwf.org. 18 Leslie Norwalk, Acting Administrator, Centers for Medicare and Medicaid Services, testimony before the Subcommittee on Health, Committee on Ways and Means, U.S. House of Representatives, February 13, 2007, at waysandmeans.house.gov. Norwalk also told the committee that the Medicare Advantage (MA) program has already been cut and that the President’s budget would result in lower payments to MA plans. 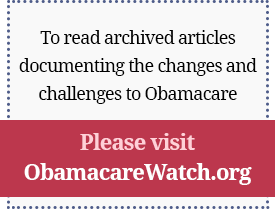 See also Centers for Medicare and Medicaid Services, “Medicare Advantage in 2007,” March 2006, at www.cms.hhs.gov. Note that because of the link between fee-for-service and MA payments, MA payments would decrease by $15.2 billion over five years if the budget were enacted. Payments are also decreasing due to the phase out of the budget-neutral risk adjustment. This “hold-harmless” adjustment had increased benchmark rates for MA plans in 2006 by the amount CMS had otherwise expected MA payments to decrease that year because of risk adjustment due to the better average health status of MA plan enrollees. The phasing out of budget neutral risk adjustment begins this year, and it will decrease MA plan payments by $2.3 billion in 2007 alone. Medicare Payment Advisory Committee, Report to the Congress: Medicare Payment Policy, p. 245. Further, the stabilization fund, designed to support broad access to MA has already been cut $6.5 billion. 19 Medicare Payment Advisory Commission, Report to the Congress: Increasing the Value of Medicare, June 2006, pp. 199-223, at www.medpac.gov/publications%5Ccongressional_reports%5CJun06_Ch09.pdf. 20 U.S. Department of Health and Human Services, “FY 2008 Budget in Brief,” p. 54. 22 America’s Health Insurance Plans, “Low-Income and Minority Beneficiaries in Medicare Advantage Plans,” February 22, 2007, at www.ahipresearch.org. 23 Norwalk, testimony before the Subcommittee on Health. 24 Adam Atherly and Kenneth E. Thorpe, “Value of Medicare Advantage to Low-Income and Minority Medicare Beneficiaries,” September 20, 2005, at www.bcbs.com/issues/medicaid/research/Value-of-Medicare-Advantage-to-Low-Income-and-Minority-Medicare-Beneficiaries.pdf. 26 “Minority Groups Oppose Proposed Reduction in Funds for Medicare Advantage Plans,” Henry J. Kaiser Family Foundation Daily Health Policy Report, March 16, 2007, at www.kaisernetwork.org/daily_reports/rep_index.cfm?DR_ID=43645. 27 Medicare Payment Advisory Commission, Report to the Congress: Medicare Payment Policy. 31 Norwalk, testimony before the Subcommittee on Health. 32 U.S. Department of Health and Human Services, “FY 2008 Budget in Brief,” p. 52. 34 MedPAC recommends setting the benchmarks at 100 percent of traditional Medicare costs, phased in to avoid disrupting the market. See Medicare Payment Advisory Commission, Report to the Congress: Medicare Payment Policy, p. 252.